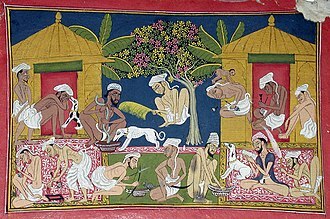 Earlier treaties had only controlled opium and derivatives such as morphine and cocaine. The Single Convention, adopted in 1961, consolidated those treaties and broadened their scope to include cannabis, the Commission on Narcotic Drugs and the World Health Organization were empowered to add and transfer drugs among the treatys four schedules of controlled substances. The International Narcotics Control Board was put in charge of administering controls on production, international trade. As of February 2015, the Single Convention has 185 state parties. 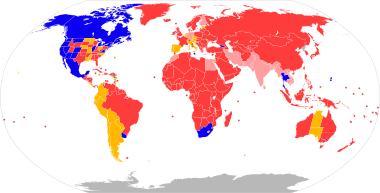 The Holy See plus all member states of the United Nations are state parties, with the exception of Chad, East Timor, Equatorial Guinea, Nauru, South Sudan and Vanuatu. Since the Single Convention is not self-executing, Parties must pass laws to carry out its provisions, the Single Convention has been used as the basis for the standardization of national drug-control laws. In particular, the United States Controlled Substances Act of 1970, both Acts include analogous schemes of drug Scheduling, along with similar procedures for adding and transferring drugs among the Schedules. The Controlled Substances Act follows the Single Conventions lead in granting a public health authority a central role in drug-scheduling decisions and it includes a provision mandating that federal authorities control all drugs of abuse in accordance with the strictness required by the Single Convention. 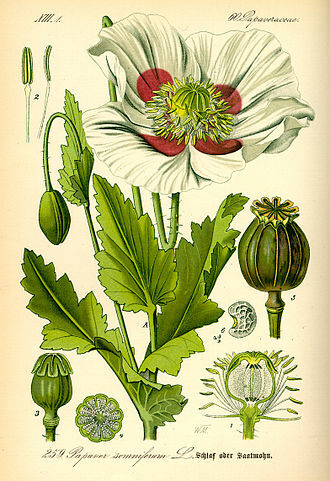 The League of Nations adopted several drug control treaties prior to World War II, specifying uniform controls on addictive drugs such as cocaine and opium, and its derivatives. That year, the UN Economic and Social Council convened a conference of 73 nations for the adoption of a single convention on narcotic drugs. 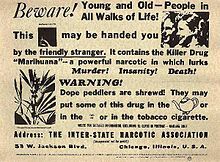 That meeting was known as the United Nations Conference on Narcotic Drugs and they were open to socio-cultural drug use, having lived with it for centuries. They favored weak controls because existing restrictions on production and export had directly affected large segments of their domestic population and they supported national control efforts based on local conditions and were wary of strong international control bodies under the UN. 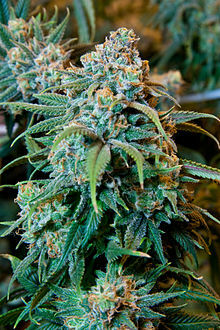 Cannabis has various psychological and physiological effects on the human body. Acute effects while under the influence can include euphoria and anxiety, another cannabinoid found in cannabis in varying amounts, has been shown to alleviate the adverse effects of THC that some consumers experience. With very high doses, THC can induce auditory and visual hallucinations, Research about medical benefits of cannabis has been hindered by United States federal law. 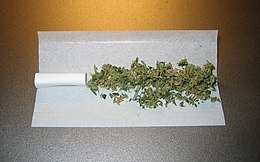 Smoking any substance will carry the risk as smoking marijuana due to carcinogens in all smoke. 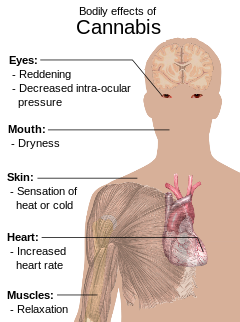 Cannabis use disorder is defined as a diagnosis in the fifth revision of the Diagnostic. The most prevalent psychoactive substances in cannabis are cannabinoids, most notably THC, some varieties, having undergone careful selection and growing techniques, can yield as much as 29% THC. 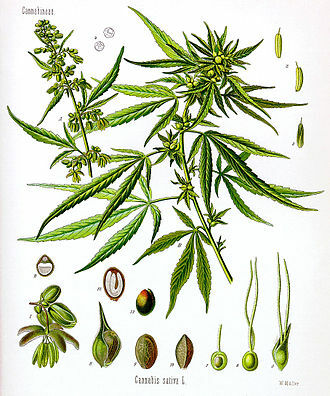 Another psychoactive cannabinoid present in Cannabis sativa is tetrahydrocannabivarin, but it is found in small amounts and is a cannabinoid antagonist. How these other compounds interact with THC is not fully understood, some clinical studies have proposed that CBD acts as a balancing force to regulate the strength of the psychoactive agent THC. CBD is believed to regulate the metabolism of THC by inactivating cytochrome P450. Cannabis cofactor compounds have linked to lowering body temperature, modulating immune functioning. 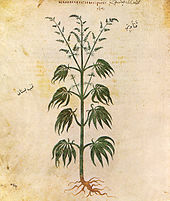 The essential oil of cannabis contains many fragrant terpenoids which may synergize with the cannabinoids to produce their unique effects, THC is converted rapidly to 11-hydroxy-THC, which is pharmacologically active, so the drug effect outlasts measurable THC levels in blood. THC and cannabidiol are neuroprotective antioxidants, Research in rats has indicated that THC prevented hydroperoxide-induced oxidative damage as well as or better than other antioxidants in a chemical system and neuronal cultures. Cannabidiol was significantly more protective than either vitamin E or vitamin C, the cannabinoid receptor is a typical member of the largest known family of receptors called a G protein-coupled receptor. A signature of this type of receptor is the pattern of how the receptor molecule spans the cell membrane seven times. The location of cannabinoid receptors exists on the membrane. CB1 receptors, the bigger of the two, are abundant in the brain,10 times more plentiful than μ-opioid receptors. CB2 receptors are structurally different, found only on cells of the immune system, CB2 receptors are most commonly prevalent on B-cells, natural killer cells, and monocytes, but can be found on polymorphonuclear neutrophil cells, T8 cells, and T4 cells. Recreational drug use is the use of a psychoactive drug to alter ones mental state in a way that modifies emotions and feelings for recreational purposes. 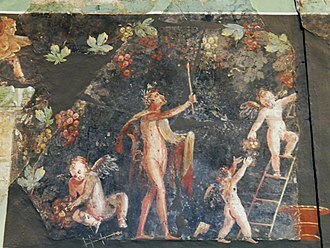 When a substance enters the body, it brings on an intoxicating effect. Generally, people use drugs that fall into three categories, depressants and psychedelic drugs. In popular usage, it is considered to be a tolerated social behaviour rather than a serious medical condition such as self-medication. The substances classified as controlled and illegal drugs vary by country, in 2009 it was estimated that about 3% to 6% of people aged 15 to 65 had used illegal drugs at least once. International and domestic law enforcement agencies are perpetually occupied with interdiction efforts against illegal use, manufacture. Many researchers have explored the etiology of recreational drug use, there has not been agreement around any one single cause. Instead, experts tend to apply the biopsychosocial model, any number of these factors are likely to influence an individual’s drug use as they are not mutually exclusive. Regardless of genetics, mental health or traumatic experiences, social factors play a role in exposure to and availability of certain types of drugs. According to addiction researcher Martin A. 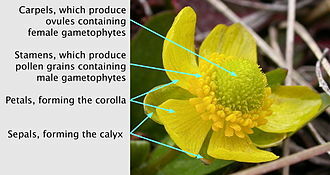 Plant, many go through a period of self-redefinition before initiating recreational drug use. They tend to view using drugs as part of a lifestyle that involves belonging to a subculture that they associate with heightened status. Plant says, “From the users point of there are many positive reasons to become part of the milieu of drug taking. The reasons for drug use appear to have as much to do with needs for friendship, becoming a drug taker, to many people, is a positive affirmation rather than a negative experience. ”Anthropological research has suggested that humansmay have evolved to counter-exploit plant neurotoxins. The ability to use chemicals to serve the function of endogenous neurotransmitters may have improved survival rates. A typically restrictive prehistoric diet may have emphasised the apparent benefit of consuming psychoactive drugs and type of risks that come with recreational drug use vary widely with the drug in question and the amount being used. In the United States, the use of cannabis for medical purposes is legal in 28 states, plus the territories of Guam and Puerto Rico, and the District of Columbia, as of November 2016. Several other states have more restrictive laws permitting the use of the non-psychoactive extract cannabidiol only. There is considerable variation in medical cannabis laws from state to state, in regards to how it is produced / distributed, how it can be ingested, the first state to legalize medical cannabis was California in 1996, when voters approved Proposition 215 by a 56%–44% vote. Several states followed with successful ballot initiatives in 1998, and in 2000 Hawaii became the first state to legalize medical cannabis by state legislature. 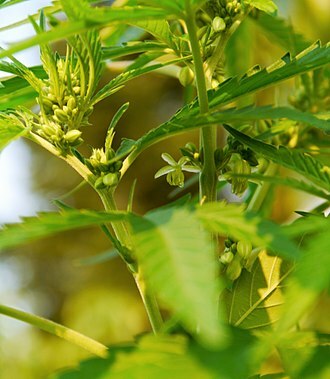 In recent years, medical cannabis has spread to the Southern United States, as Louisiana, Arkansas, at the federal level, cannabis remains a prohibited substance by way of the Controlled Substances Act of 1970. Under the CSA, the Drug Enforcement Agency classifies cannabis as a Schedule I drug, determined to have a potential for abuse. Public support for allowing the use of cannabis has remained strong since Gallup first polled the subject in 1999. A February 2017 Quinnipiac poll found support at 93%. Federal Food and Cosmetic Act of 1938 makes the U. S, the FDA defines a drug as safe and effective for a specific indication if the clinical benefits to the patient are felt to outweigh any health risks the drug might pose. The FDA and comparable authorities in Western Europe, including the Netherlands, have not approved smoked cannabis for any condition or disease, the FDA has not approved medical cannabis in any form for any indication. It continues to warn manufacturers of possible violations of the Federal Food, Cannabis remains a U. S. federally controlled substance, making possession and distribution illegal. 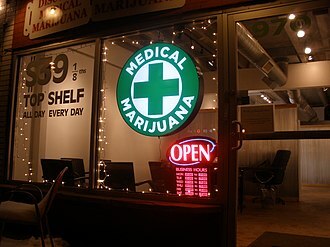 Those seeking to acquire medical cannabis may have to resort to the market in order to obtain the product if their state does not allow the existence of legal dispensaries. However, in some states—such as Colorado—legal dispensaries are plentiful, two American companies, Cannabis Science Inc.
Medical cannabis, or medical marijuana is cannabis and cannabinoids that are prescribed by doctors for their patients. The use of cannabis as a medicine has not been rigorously tested due to production restrictions, there is a limited amount of evidence that suggests cannabis can reduce nausea and vomiting during chemotherapy, improve appetite in people with HIV/AIDS, and reduce chronic pain and muscle spasms. Short-term use increases the risk of minor and major adverse effects. Common side effects include dizziness, feeling tired, long-term effects of cannabis are not clear. Concerns include memory and cognition problems, risk of addiction, schizophrenia in people. 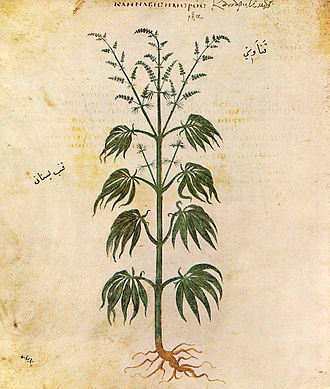 The Cannabis plant has a history of use dating back thousands of years across many cultures. The American Academy of Pediatrics states that while cannabinoids may have potential as therapy for a number of medical conditions and they, along with the American Medical Association and the Minnesota Medical Association, call for moving cannabis out of DEA Schedule I to facilitate this research. Synthetic cannabinoids are available as prescription drugs in some countries, examples include, australia is currently in the process of passing a law which would allow the use of marijuana for medical and scientific purposes. 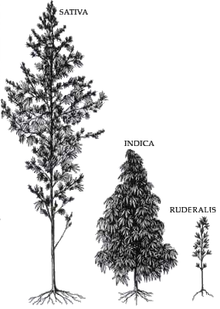 Many different cannabis strains are called medical cannabis. 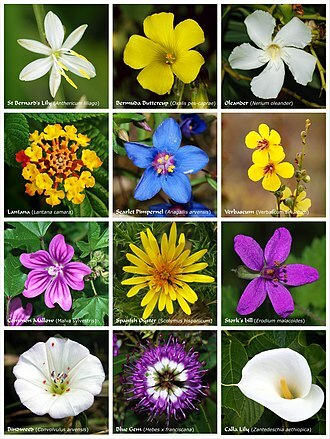 Since many varieties of the plant and plant derivatives all share the same name. A Cannabis plant includes more than 400 different chemicals, of which about 70 are cannabinoids, in comparison, typical government-approved medications contain only 1 or 2 chemicals. The number of chemicals in cannabis is one reason why treatment with cannabis is difficult to classify. A2014 review stated that the variations in ratio of CBD-to-THC in botanical and pharmaceutical preparations determines the therapeutic vs psychoactive effects of cannabis products, Medical cannabis has several potential beneficial effects. Evidence is moderate that it helps in chronic pain and muscle spasms, low quality evidence suggests its use for reducing nausea during chemotherapy, improving appetite in HIV/AIDS, improving sleep, and improving tics in Tourette syndrome. Geologically, the Indian subcontinent is related to the land mass that rifted from Gondwana and merged with the Eurasian plate nearly 55 million years ago. 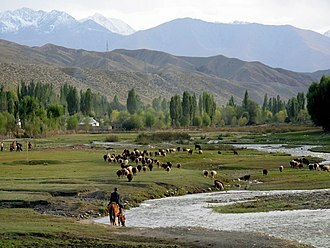 Geographically, it is the region in south-central Asia delineated by the Himalayas in the north, the Hindu Kush in the west. 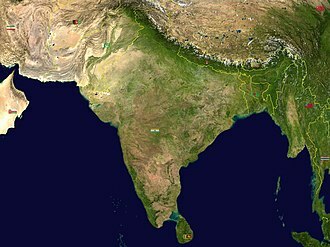 Politically, the Indian subcontinent usually includes Bangladesh, India, Nepal, sometimes, the term South Asia is used interchangeably with Indian subcontinent. 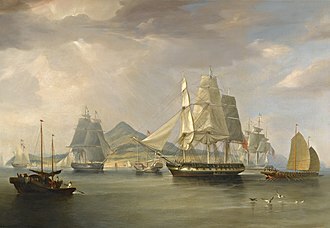 There is no consensus about which countries should be included in each and it is first attested in 1845 to refer to the North and South Americas, before they were regarded as separate continents. Its use to refer to the Indian subcontinent is seen from the twentieth century. It was especially convenient for referring to the region comprising both the British India and the states under British Paramountcy. The term Indian subcontinent has a geological significance and it was, like the various continents, a part of the supercontinent of Gondwana. A series of tectonic splits caused formation of basins, each drifting in various directions. The geological region called the Greater India once included the Madagascar, Antartica, as a geological term, Indian subcontinent has meant that region formed from the collision of the Indian basin with Eurasia nearly 55 million years ago, towards the end of Paleocene. The Indian subcontinent has been a particularly common in the British Empire. The region, state Mittal and Thursby, has labelled as India, Greater India. The BBC and some sources refer to the region as the Asian Subcontinent. Some academics refer to it as South Asian Subcontinent, the terms Indian subcontinent and South Asia are sometimes used interchangeably. There is no accepted definition on which countries are a part of South Asia or Indian subcontinent. In dictionary entries, the term subcontinent signifies a large, distinguishable subdivision of a continent, the region experienced high volcanic activity and plate subdivisions, creating Madagascar, Antartica and the Indian subcontinent basin. The Indian subcontinent drifted northeastwards, colliding with the Eurasian plate nearly 55 million years ago and this geological region largely includes Bangladesh, India, Nepal and Sri Lanka. A psychoactive drug, psychopharmaceutical, or psychotropic is a chemical substance that changes brain function and results in alterations in perception, mood, or consciousness. 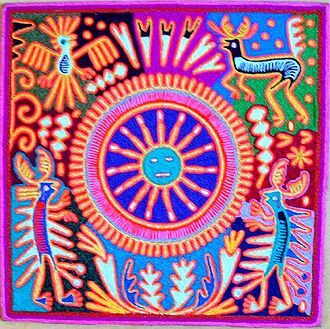 These substances may be used recreationally, to alter ones consciousness, or, as entheogens, for ritual, spiritual, or shamanic purposes. Some categories of drugs, which have medical therapeutic value, are prescribed by medical doctors. There are some psychoactive substances used in the detoxification and rehabilitation programs for drug users. 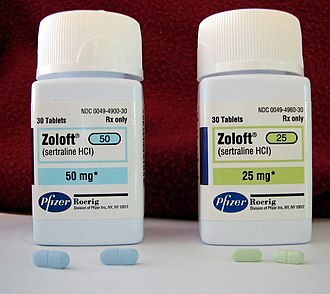 Psychoactive substances often bring about changes in consciousness and mood that the user may find rewarding. 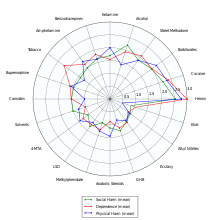 In addition, sustained use of some substances may produce a physical dependence or psychological dependence syndrome associated with somatic or psychological-emotional withdrawal states respectively, Drug rehabilitation aims to break this cycle of dependency, through a combination of psychotherapy, support groups and even other psychoactive substances. However, the reverse is true in some cases, that certain experiences on drugs may be so unfriendly. This is especially true of certain deliriants, powerful dissociatives, and classic psychedelics, in part because of this potential for substance misuse, addiction, or dependence, the ethics of drug use is debated. Restrictions on drug production and sales in an attempt to drug abuse are very common among national and sub-national governments worldwide. Ethical concerns have raised about over-use of these drugs clinically. 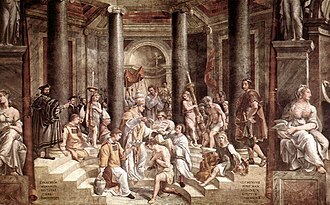 Psychoactive drug use can be traced to prehistory, there is archaeological evidence of the use of psychoactive substances dating back at least 10,000 years, and historical evidence of cultural use over the past 5,000 years. 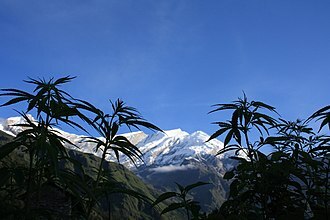 The chewing of coca leaves, for example, dates back over 8,000 years ago in Peruvian society, medicinal use is one important facet of psychoactive drug usage. However, some have postulated that the urge to alter ones consciousness is as primary as the drive to satiate thirst, hunger or sexual desire. Supporters of this belief contend that the history of use and even childrens desire for spinning, swinging. An illusion is a distortion of the senses, revealing how the brain normally organizes and interprets sensory stimulation. Though illusions distort reality, they are shared by most people. Illusions may occur with any of the senses, but visual illusions are the best-known. The emphasis on visual illusions occurs because vision often dominates the other senses, for example, individuals watching a ventriloquist will perceive the voice is coming from the dummy since they are able to see the dummy mouth the words. Some illusions are based on general assumptions the brain makes during perception and these assumptions are made using organizational principles, an individuals capacity for depth perception and motion perception, and perceptual constancy. Other illusions occur because of biological sensory structures within the body or conditions outside of the body within one’s physical environment. 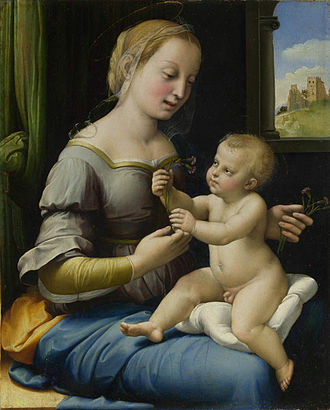 The term illusion refers to a form of sensory distortion. 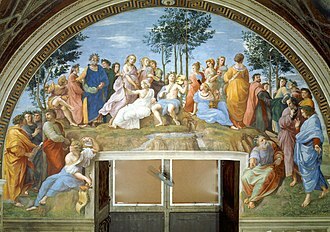 Unlike a hallucination, which is a distortion in the absence of a stimulus, for example, hearing voices regardless of the environment would be a hallucination, whereas hearing voices in the sound of running water would be an illusion. Mimes are known for a repertoire of illusions that are created by physical means, the mime artist creates an illusion of acting upon or being acted upon by an unseen object. These illusions exploit the audiences assumptions about the physical world, well-known examples include walls, climbing stairs, descending ladders, and pulling and pushing. An optical illusion is characterized by visually perceived images that are deceptive or misleading, the information gathered by the eye is processed by the brain to give, on the face of it, a percept that does not tally with a physical measurement of the stimulus source. The human brain constructs a world inside our head based on what it samples from the surrounding environment, sometimes it tries to organise this information it thinks best while other times it fills in the gaps. This way in which our brain works is the basis of an illusion, an auditory illusion is an illusion of hearing, the sound equivalent of an optical illusion, the listener hears either sounds which are not present in the stimulus, or impossible sounds. Dental radiograph showing bone loss in a 32 year old heavy smoker patient. A sadhu, or holy person, smoking cannabis in Kolkata, India. Articles 23 and 28 of the Single Convention on Narcotic Drugs require cannabis-producing nations to have a government agency that controls cultivation. Playing can induce an intense state of happiness and contentment, like this young girl playing in the snow. A large dose of methamphetamine causes a drug-induced euphoria. 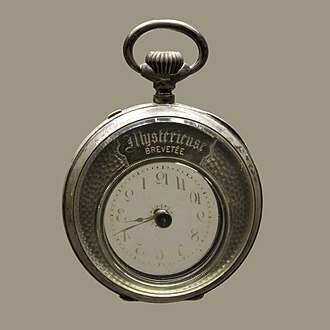 The transparent dial in this "mystery watch" may create the illusion in the viewer that the hands work without any movement.